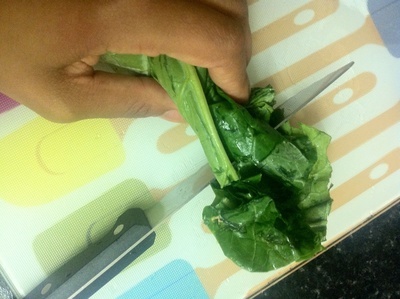 Roll the spinach and slice. 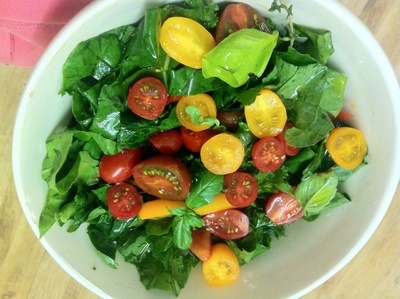 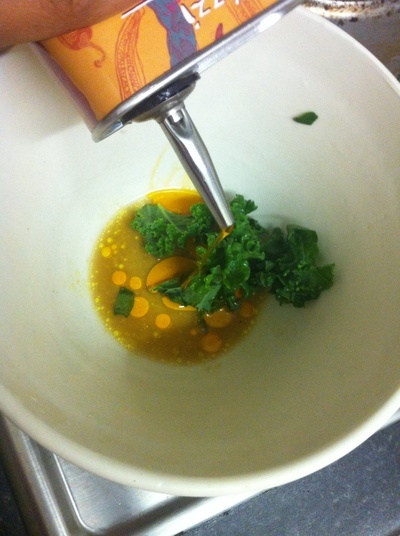 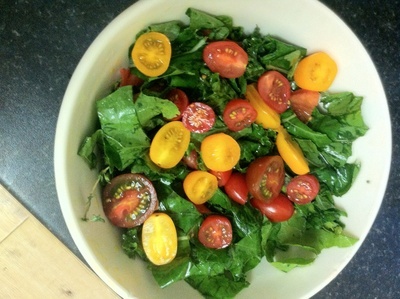 Add the oil to a large bowl along with the kale, to soften to sometimes hard leaves. 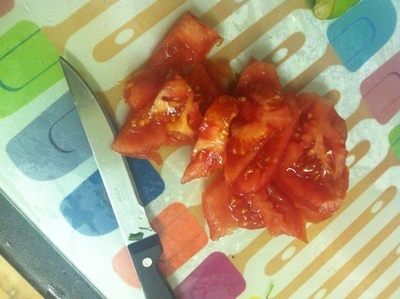 Coarsely chop the beef/salad tomato. 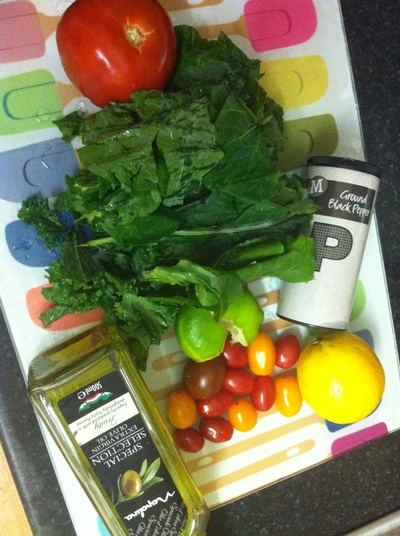 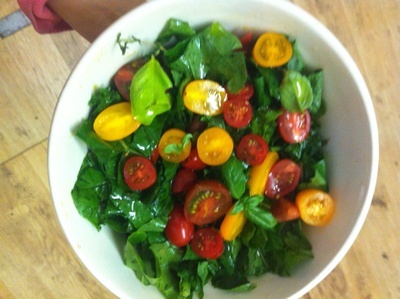 Add the chopped spinach and tomato the salad bowl. 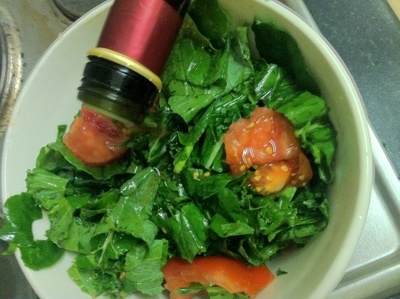 Add the vinegar and toss. 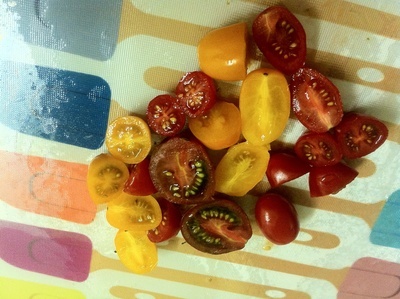 Slice the cherry and baby plum tomatoes in half. 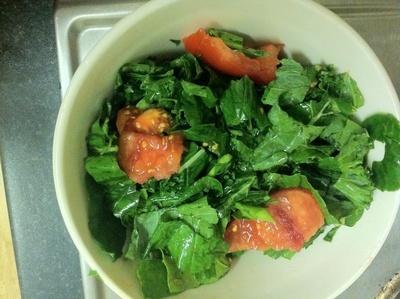 Top the salad bowl the the sliced tomatoes. 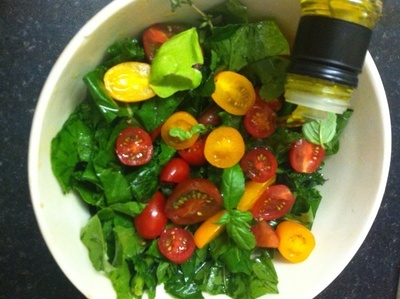 Drizzle with a little more olive oil and garnish with the basil.